Our world-class engineers, RF lab, and library of proven IP make Digi WDS your trusted partner. Digi guarantees your product will comply with FCC/IC, cellular, and other requirements, speeding your product plans. Digi is the go-to source to rescue an RF design from certification failure or suboptimal performance. We help you successfully pass specifications and certifications. We help connect products in highly regulated industries around the globe. Teaming with Digi WDS, you get a predictable engineering timeline and budget. We have world-class engineers and program managers who successfully design products for people every day. Digi WDS will ensure all features, functions, and requirements are met with performance second to none. We are experts at identifying elusive requirements to ensure the end product matches your expectations. Security for connected products is a must. Digi WDS will lead you through a security focused design process to eliminate vulnerability in your product. DO YOU UNDERSTAND GOVERNMENT AND INDUSTRY CERTIFICATIONS? With our state-of-the-art lab, RF engineering expertise and our proficiency in government and industry certifications like FCC/IC, EN, PTCRB, AT&T, and Verizon, we can guarantee certification. Are you short on time and resources? Digi WDS has a dedicated multi-discipline team just for you. Over the years we have invested in a library of hardware & software building blocks that accelerate your product development beyond traditional ground up design. HOW WILL YOU TRANSITION TO MANUFACTURING? Testing RF capabilities at the end of the manufacturing line requires expertise in RF engineering. Digi WDS is experienced in creating custom test fixtures and software to verify end-of-line RF performance. Having the right partner on your side makes all the difference. 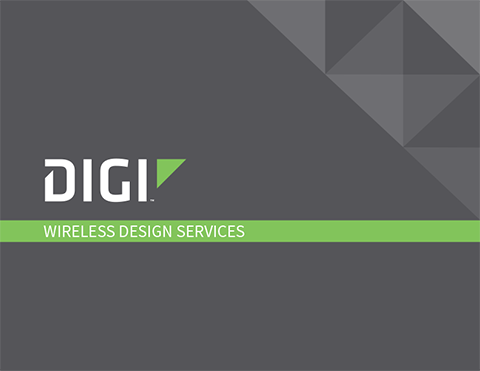 Digi WDS has the world-class engineers and a state-of-the-art RF lab, a library of proven building blocks, tools, and resources you need to get to market faster. The Internet of Things (IoT) has evolved from a marketing buzzword to a strategic roadmap for many OEMs and technology companies. 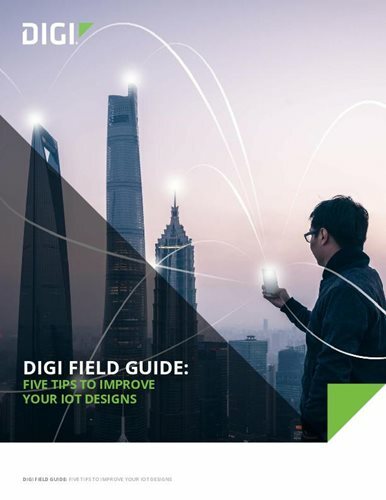 As a result of this shift, companies with expertise in devices like sensors, lights, pumps, or even home appliances are now being asked to quickly become experts in wireless and cellular connectivity. © Copyright 1996-2019 Digi International Inc. All rights reserved.